Is the CIA behind Mexico’s Bloody Drug War? “Hours after the attack, a painted message directed to top federal police commanders and claiming responsibility for the attack appeared on a wall in downtown Ciudad Juarez. It was apparently signed by La Linea gang, the enforcement arm of the Juarez drug cartel. The Juarez cartel has been locked in a bloody turf battle with the Sinaloa cartel, led by Joaquin “El Chapo” Guzman. The massacre in downtown Juarez is just the latest incident in Mexico’s bloody drug war. Between 5 to 6 more people will be killed on Saturday, and on every day thereafter with no end in sight. It’s a war that cannot be won, but that hasn’t stopped the Mexican government from sticking to its basic game-plan. The experts and politicians disagree about the origins of the violence in Juarez, but no one disputes that 23,000 people have been killed since 2006 in a largely futile military operation initiated by Mexican president Felipe Calderon. Whether the killing is the result of the ongoing turf-war between the rival drug cartels or not, is irrelevant. The present policy is failing and needs to be changed. The militarization of the war on drugs has been a colossal disaster which has accelerated the pace of social disintegration. Mexico is quickly becoming a failed state, and Washington’s deeply-flawed Merida Initiative, which provides $1.4 billion in aid to the Calderon administration to intensify military operations, is largely to blame. 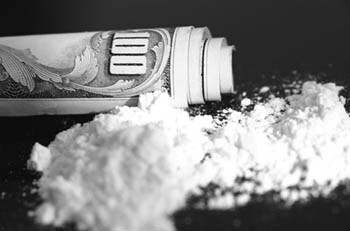 The surge in narcotics trafficking and drug addiction go hand-in-hand with destructive free trade policies which have fueled their growth. NAFTA, in particular, has triggered a massive migration of people who have been pushed off the land because they couldn’t compete with heavily-subsidized agricultural products from the US. Many of these people drifted north to towns like Juarez which became a manufacturing hub in the 1990s. But Juarez’s fortunes took a turn for the worse a few years later when competition from the Far East grew fiercer. Now most of the plants and factories have been boarded up and the work has been outsourced to China where subsistence wages are the norm. Naturally, young men have turned to the cartels as the only visible means of employment and upward mobility. That means that free trade has not only had a ruinous effect on the economy, but has also created an inexhaustible pool of recruits for the drug trade. Washington’s Merida Initiative–which provides $1.4 billion in aid to the Calderon administration to intensify military operations–has only made matters worse. The public’s demand for jobs, security and social programs, has been answered with check-points, crackdowns and state repression. The response from Washington hasn’t been much better. Obama hasn’t veered from the policies of the prior administration. He is as committed to a military solution as his predecessor, George W. Bush. But the need for change is urgent. Mexico is unraveling and, as the oil wells run dry, the prospect of a failed state run by drug kingpins and paramilitaries on US’s southern border becomes more and more probable. The drug war is merely a symptom of deeper social problems; widespread political corruption, grinding poverty, soaring unemployment, and the erosion of confidence in public institutions. But these issues are brushed aside, so the government can pursue its one-size-fits-all military strategy without second-guessing or remorse. Meanwhile, the country continues to fall apart. The big cartels are engaged in a ferocious battle for the drug corridors around Juarez. The Sinaloa, Gulf and La Familia cartels have formed an alliance against the upstart Los Zetas gang. Critics allege that the Calderon administration has close ties with the Sinaloa cartel and refuses to arrest its members. Here’s an excerpt from an Al Jazeera video which points to collusion between Sinaloa and the government. There’s no doubt that if the LA Times knows about the circular flow of state money to drug traffickers, than the Obama administration knows too. So why does the administration persist with the same policy and continue to support the people they pretend to be fighting? In forty years, US drug policy has never changed. The same “hunt them down, bust them, and lock them up” philosophy continues to this day. That’s why many critics believe that the drug war is really about control, not eradication. It’s a matter of who’s in line to rake in the profits; small-time pushers who run their own operations or politically-connected kingfish who have agents in the banks, the intelligence agencies, the military and the government. Currently, in Juarez, the small fries’ are getting wiped out while the big-players are getting stronger. In a year or so, the Sinaloa cartel will control the streets, the drug corridors, and the border. The violence will die down and the government will proclaim “victory”, but the flow of drugs into the US will increase while the situation for ordinary Mexicans will continue to deteriorate. It’s no coincidence that Kabul and Bogota are the the de facto capitals of the drug universe. US political support is strong in both places, as is the involvement of US intelligence agencies. But does that suggest that the CIA is at work in Mexico, too? Or, to put it differently: Why is the US supporting a client that appears to be allied to the most powerful drug cartel in Mexico? That’s the question. and provided the cash and connections needed for L.A.’s gangs to buy automatic weapons. Counterpunch editor Alexander Cockburn has also done extensive research on the CIA/drug connection. Here’s an excerpt from an article titled “The Government’s Dirty Little Secrets”, which ran in the Los Angeles Times. “What does Washington want from Mexico? On the security side, the U.S. seeks total control of Mexico’s security apparatus. With the creation of NORTHCOM (Northern Command) designed to protect the U.S. landmass from terrorist attack, Mexico is designated North America’s southern security perimeter and U.S. military aircraft now has carte blanche to penetrate Mexican airspace. Moreover, the North American Security and Prosperity Agreement (ASPAN in its Mexican initials) seeks to integrate the security apparatuses of the three NAFTA nations under Washington’s command. Now the Merida Initiative signed by Bush II and Calderon in early 2007 allows for the emplacement of armed U.S. security agents – the FBI, the DEA, the CIA, and ICE – on Mexican soil and contractors like the former Blackwater cannot be far behind. Wars are fought for juicy government contracts and $1.3 billion in Merida moneys are going directly to U.S. defense contractors – forget about the Mexican middleman. The drug war is the mask behind which the real policy is concealed. The United States is using all the implements in its national security toolbox to integrate Mexico into a North America Uberstate, a hemispheric free trade zone that removes sovereign obstacles to corporate looting and guarantees rich rewards for defense contractors. As Ross notes, all of the usual suspects are involved, including the FBI and CIA. That means the killing in Juarez will continue until Washington’s objectives are achieved.